Dove Friendship Suite – TODAY! ASAP! NEW Dove Dry Spray Antiperspirant is celebrating friendship and they want you and your best girlfriend to be a part of it! So grab your favorite gal pal and register for an amazing day of glitz and glam! You will learn about all the latest beauty and style trends and there will be incredible giveaways, fun beauty activities and ways to share the experience with your friends everywhere. Early appointments are still available. Jump on it ASAP! 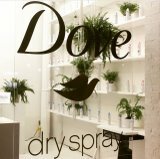 Tags: beauty, Dove, Fashion, Free NYC, Makeover. Bookmark the permalink.